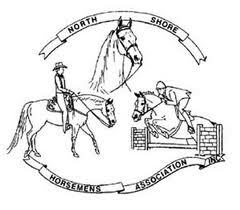 Turning Point Show stables is located less than 1 hour north of Boston in New Hampshire’s seacoast region. Turning Point Show Stables is a full service hunter jumper facility which sits on over 30 acres of beautiful rolling fields. We are also located just minutes from the scenic town center of Exeter. Turning Point Show Stables is geared not only to the active show rider but also beginners who would like to learn correctly from the start. We offer boarding, training, lessons, sales, leases, camp, and an IEA team. We compete both locally and on the national "AA" circuit. Here at Turning Point Show Stables we pride ourselves on individualized care for horse and rider. We emphasize bringing back fun and learning horsemanship from the ground up. Please call or visit us for more information. Visitors are always welcome! Sheryl MacLeod is the head trainer, owner and manager of Turning Point Show Stables. Sheryl is a highly regarded hunter, jumper trainer with more than 25 years experience. 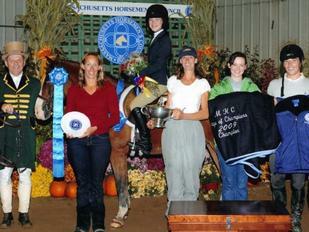 She has coached many of her students at top local, A rated and national rated horse shows. She is an active member of USEF, USHJA, NEHC, MHC, & Maclay and sits on the board of directors of the North Shore Horseman’s Association. As a junior rider, Sheryl trained as a working student at a large hunter/jumper/sales facility and rode competitively in the Medal/Maclay. She graduated from college and pursued a career in the travel industry before returning to the horse world, where she spent 15 years managing and training at one of new englands largest hunter/jumper sales barns before starting her own farm. Sheryl works with her students to instill the importance of understanding the fundamentals and to build confidence. Recognizing that each horse/rider team is an individual, she helps riders and their horses develop their own unique cooperative partnership built upon trust and confidence. Her positive teaching style fosters the love of the sport, and helps riders achieve their individual goals. She is a dedicated, organized coach who has the ability to work well with students of all ages and levels. We don't just make good riders, we make good friends! Devon MacLeod Sheryl's daughter, recently became a professional and has joined the Turning Point team as a rider and trainer. In 2016, her first year as a professional, she was mid circuit champion at the HITS Ocala venue on her horse Notorious, in the High Performance Hunters. She also competed in her first USHJA International Hunter Derby with a beautiful trip. In 2015 she was champion or reserve champion almost every week she competed. In the spring of 2015 Devon and Notoriouis were Champion in the Large Junior Hunters at Saratoga and won the prestigous Governors Equitation Cup. She also was 5th at the Zone 1 Maclay Regionals which qualified her for the Maclay Finals at the CP National Horse Show and also qualified for the USEF Hunt Seat Pessoa Medal. She then also qualified Notorious for the Large Junior Hunters at both the CP National Horse Show and The Pennsylvania National Horse Show, earning ribbons at both prestigious horse shows. She ended her junior career being Reserve Champion at the New England Equitation Championships against the top junior riders in the country. Devon has been a working student for many notable trainers including Shane Powell and Mark Jungherr. Devon was a working student for Mark Jungherr for most of her junior career and with his help has developed a textbook style of riding. She does a wonderful job working with young horses to reach their full potential and has a vast amount of knowledge having grown up on the "A" show circuit.